Fuel Efficiency is the result of less load. A dealer recently sent in this testimonial from years back. His father was a stickler for quality and his skeptical manner required proof before being sold. One pint tin can had a copper tube soldered into the bottom of it, and connected to the engine for the test run, the engine was warmed up and let run out of gas then the can was refilled and with the load for that run, was started and let run until it ran out of gas again. In all tests a digital clock was used. First, the tests were done with petroleum oil: With one heater used as a load, the test was done three times. The average time for three runs was 23 minutes and 38 seconds. With two heaters as a load, the test was done three times. The average time for the rns was 16 minutes and 2 seconds. With one heater as a load, the test was done three times. The average time for three runs was 26 minutes and 7 seconds. With two heaters as a load, the test was done three times. The average run time for the three runs was 18 minutes and 36 seconds. 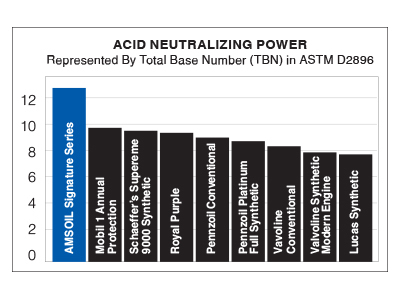 Increase in run time using AMSOIL synthetic motor oil proves the fuel savings: With one heater as the load: about 10.5% increase in economy. With two heaters as the load: about 15.9% more efficiency. Needless to say the writer’s father used AMSOIL for the rest of his life. He used the products in his cars and his RV,. In spite of a higher costs up front, he saw the benefits he gained from extended use of the products in both maintenance costs and longer equipment life. AMSOIL also eliminates deposits and issues which shorten engine life. 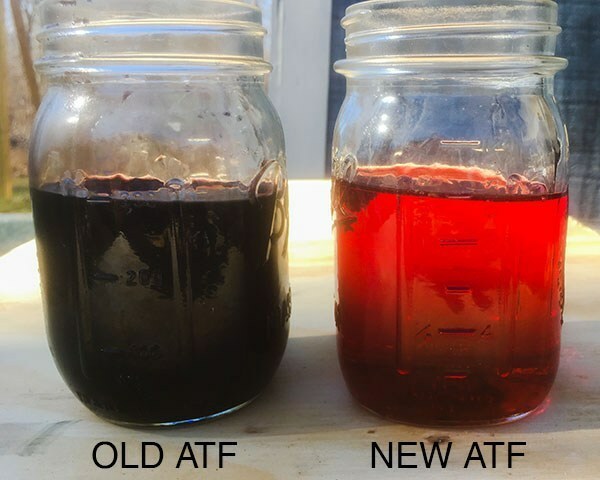 We had a neighbor who repeated an exact scenario with a welding generator which when switching from a competitor oil to AMSOIL they gained 1-hour in run time. Seems the larger the generator and the larger the load, the more difference one will see. 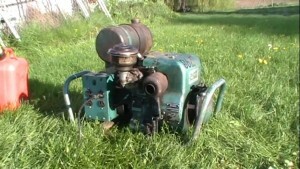 But any generator or combustion engine will last longer regardless of the fuel you save. Stationary single speed engines need a premium quality oil more than other oils. Engine life is significantly extended if a real synthetic is used early on.